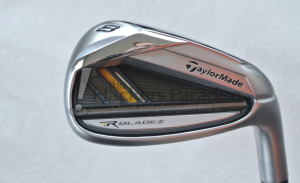 ITR is back with an all new episode this week as we speak with TaylorMade Golf. Last week there was a new iron launch and this show is dedicated to get everything one would want to know about the new line called RocketBladez. Tell me about Speed Pocket? Distance can be great, but how about consistency? Will these be used on tour? Very nice interview with TaylorMade Golf. I enjoyed hearing about how they are not just intended to be a longer iron but the description of ideal launch and lowering that COG to get lower on the club face (assuming I heard & remember it correctly). I will admit to initially thinking that longer is pointless but I will reserve further judgement until I have had an opportunity to hit these. This was a great listen! I really liked all the points that were covered. The biggest concern of mine with the speed slot was still having those “how did I do that” moments where you fly the ball 15 yards longer than normal. Glad to see they addressed that. Really gonna have to watch the reviews and check them out when they hit stores. Thanks for the great listen! This was a really nice interview. I really like how it was full of knowledge about the distance and how they are attempting to eliminate that “Flyer” that seems to happen with some of the distance irons. I think based on what I have heard from this interview that they have produced two good sets of irons, and I personally can’t wait to try out the tour version. Great show!! Loved the COG description!! I’m really intrigued to hit these once they are available. With most amateurs not hitting the center face I think these could be a huge improvement for a lot of players. As a self admitted marketing junkie I love the job marketing these clubs but am interested to see if the product will hold up to testing standards too. Firing it up right now! So pumped, thanks for doing this THP, and thanks for taking the time Brian from TaylorMade! Great Listen. I love the excitement over the technology. Cannot wait to give these irons a shot! Great show! Can’t wait to read the reviews of these irons!! Great great show and wonderful information. “Biggest iron announcement we have ever had” Huge. Great show as always. Love hearing the inside track and the thought process behind these irons. Technology that everyone has to have or they will be at a disadvantage is all I heard. Wow! Impressive for sure. Great stuff! awesome info from TM rep Brian. can’t wait to give these bad boys a swing! Informative show and from the short time I had with these irons I am impressed with the tech. Thanks Brian for coming on THP Radio and sharing a little knowledge with us. I enjoyed the show and these new irons are really setting the bar extremely high! I’m looking forward to hearing what the testers on THP have to share with us about this new product. Loved the show. I really want to get some of these in my hands and test them against my beloved Burner 2.0’s ! Major thanks for Brian from TaylorMade (no last name, interesting …) Seriously, thanks, that was a ver enlightening conversation. Lots to chew on in this. I always feel like I’ve learned something new, my golf education has been expanded just that much more when I listen to these shows and the guests on it. Maybe I had something crazy in my ear, but a sweet spot 5x larger than a traditional MC iron??? As a person who plays a traditional MC iron, I look forward to putting that to the test. Great interview, loved the discussion about what the speed slot does! Listening to this now, I found it pretty intersting that we tend to hit the irons low on the face hence the reason so many of us find success with the hybrids. Love the distance question JB and love the fact that these are going to be more consistent. From a performance standpoint the tour model is intriguing. Great interview, can’t wait to read the reviews! Great interview. Fascinating interview. Liked what Brian said about “a system of variables” that is used to build each iron. The size of the speed pocket increases and the face thickness decreases as you move from the 7-iron to the 3-iron.